It’s officially holiday shopping season! Retailers are releasing Black Friday ads, special Black Friday preview deals have been popping up and we are getting our first glimpse at the types of deals we will be seeing this year! We’re already seeing some great deals! We post deals daily to both our Kids Steals & Deals Facebook Page + our Kids Steals & Deals Facebook Group, which is the easiest place to see the deals as they come up and see what others think of the product. If you’re not a member, you can join here! First up is Target. As always, Target will be coming in hot this holiday season. REDCard Holders will once again be able to shop select deals starting on 11/21. To see the ad, head here! Next to the table is Kohl’s. With the Kohl’s ad, we see that the popular $15 of Kohl’s Cash for every $50 spent returns. You can check out today’s Kohl’s deals here! The most important deals to pay attention to are the deals that are offered only for one day or that are scheduled to end today. For the Black Friday Deal previews that sell out, they will be back on Black Friday! Nice deal on the Beyblade Burst Evolution SwitchStrike Battle Tower! It’s now down to $39.99 (from $59.99) at Walmart, Amazon & Target! This is a great gift for boys (or girls) in the 6-10 age range. LAST day for the Target Lego Gift Card Deal! Spend $50 on Legos and you will also get a $10 Target Gift Card. This also works on sale sets… For example, use it on the City Fire Station (Reg $99.99) to score it for $64.99 after the Gift Card! Shop all Lego at Target here. HUGE Melissa & Doug Sale here at zulily! You save an additional 20% when you spend $50 or more from this link. The Melissa & Doug Grocery Store deal is back! The price on it drops to $123.90 with the additional 20% off. They also have the companion set and grocery basket set for great prices with the extra 20% off! Grab the grocery store hereThe extra 20% brings the popular Melissa and Doug Diner Bundle down to $140.79! Grab it here before it sells out! Target’s Buy 2, Get 1 free Board Games & Video Games continues through Saturday! Great for stocking the game closet! Check them out here! Calico Critters Red Roof Country Home Gift Set is down to $79 at both Walmart and Amazon. This set includes furniture and a couple of bunnies so it’s ready to play out of the box! Walmart has quite a few Calico Critters markdowns here and it seems that, for the most part, Amazon is matching! The Amazon Deal of the Day is offering the Zojirushi Rice Cooker for $83.99! I’ve heard great things about these! The last time it was on DOTD it sold out. Pick one up here! Need some new dinnerware? I just found the most AMAZING deal on some gorgeous Lenox Stoneware! Check it out here! Holiday Outdoor Decoration Deal of the Day! Time to get your yard ready for the holidays! Your neighbors are counting on you! Up to 50% off lights (including Hanukkah, decorative trees & more here. Pottery Barn Kids Bonus Deals! Need luggage for an upcoming trip? Check out the luggage deals for up to 60% off here! There are a couple large suitcases that are nearly $100 off! Today only! $20 Frost Free Puffers at Old Navy! Options available for Women, Men, Girls, Boys, Toddler Girls & Toddler Boys! Plus they also have 30% off everything (except one day deals) OR 50% off for cardholders with promo code CARD! Free shipping at $50! iPad Mini 4’s are available here for $274.99 in the Walmart Black Friday Preview Sale! I don’t know when this ends, but they do keep selling out intermittently, if they are being sold by a 3rd party seller, check back here! You can check out the whole sale here! Great price on a HUGE 4K TV! Grab the VIZIO 55” Class 4K Ultra HD (2160P) HDR Smart LED TV for $348 (reg $479). It gets great reviews and this is an EXCELLENT price point for this size TV! You can grab one here! Walmart also has a couple of other TV options in their early Black Friday sale here! Don’t miss out on the deals! Join our private Facebook deals group just for moms! Get your Hanna Andersson Matching Holiday Pajamas in their sleepwear sale this weekend! Through Sunday, 11/4, you can save 30% on all sleepwear! Even better, all apparel is 40% off! If you haven’t checked out the latest arrivals, they look so comfy! If you are a new customer, Hanna Andersson Promo code GNOME15 will save you an additional 15%! Free shipping with $100 purchase! Check out all of the available styles here! Pioneer Woman 6 QT Crockpots as low as $19.84 (reg $39.99) – several different prints. Price varies by print. Check them out here! Bonus deals across all of the Pottery Barn Brands! Up to 75% off (depending on store) + cardholders get DOUBLE rewards (worth 20% vs 10%)! Includes a lot of furniture, holiday, backpacks, luggage & more! Those who get a new card get 25% in Rewards! Kohl’s has a great Beauty Buy One, Get One 50% offer that includes popular brands like Babyliss, Chi, Beachwaver & more! To maximize the deal, choose items that are close in price. Plus you get $10 in Kohl’s Cash for every $50 spent. You cannot use any promo codes on these items, but if you have Kohl’s Cash to use from earlier in the week, it will apply to this deal! Check out the whole deal here! Shop Boden‘s new Holiday Line here and save 25% on dresses and tops with Boden promo code D7M4. Seriously the cutest! Gap Friends & Family Sale – Use Gap promo code FFTIME for 40% off sitewide + free shipping, no minimum! Cardholders can use promo code FFCARD and save 50%! Check it out here! 40% off (full-price styles) with code FAMILY, pin 5241. This is one of the best deals of the season so stock up! Shop the sale here! Burt’s Bees is back on zulily! Up to 60% off! Lots of cute holiday and pajama options starting at $6.99 here! 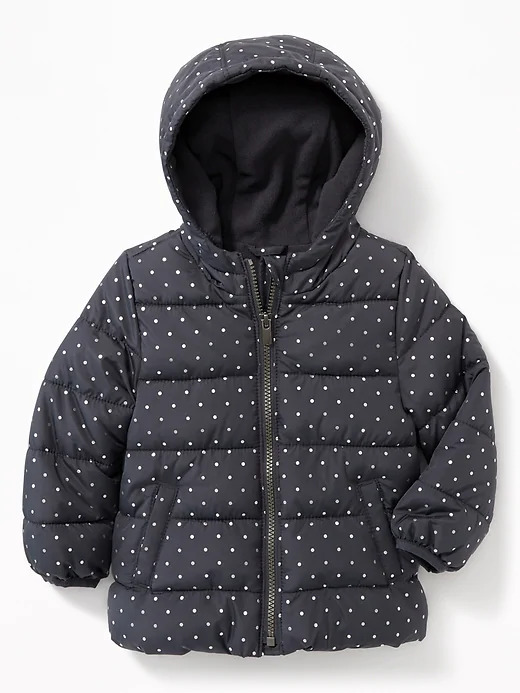 50% off Gymboree’s new arrivals (Holiday PJs and Clothes) + up to 70% off sale! Free shipping at $75 + free returns. Their holiday line is the CUTEST for sibling coordination!!! Check it all out here! Previous Post Lenox Stoneware Sale! 40 Pieces Just $233! Next Post Top Tips for Scoring the Best Holiday Deals!